The CEO establishes the core values and strategy of the workplace and is accountable for developing, communicating and executing strategic plans to facilitate the sustainable business success of the AH&MRC. The CEO will lead the development of annual goals and will work with Senior Management Team to guide the successful implementation of strategies that promotes the organisation’s values. The AH&MRC CEO is ultimately responsible to the Chairperson and the Board of Directors (the Board) for implementing strategic and operational policy and for the continued growth and viability of the organisation. The CEO will be building the confidence, reputation and profile of the AH&MRC amongst the Members and across the Aboriginal health sector of NSW. The CEO will develop and grow the organisation’s services to members and provide strategies and advice to the Board. Depending on the notice period of the successful applicant this position is expected to commence around August/September for a period of a three (3) year contract, based in our Surry Hills office (66 Wentworth Ave, NSW). A detailed position description is attached which includes the duties of the position and the salary. EOI should be forwarded to the HR department via email to gagic@ahmrc.org.au included with the application should be a current CV and a Cover Letter outlining the above criteria. Please contact the HR Department via email gagic@ahmrc.org.au should you wish to discuss the position further. 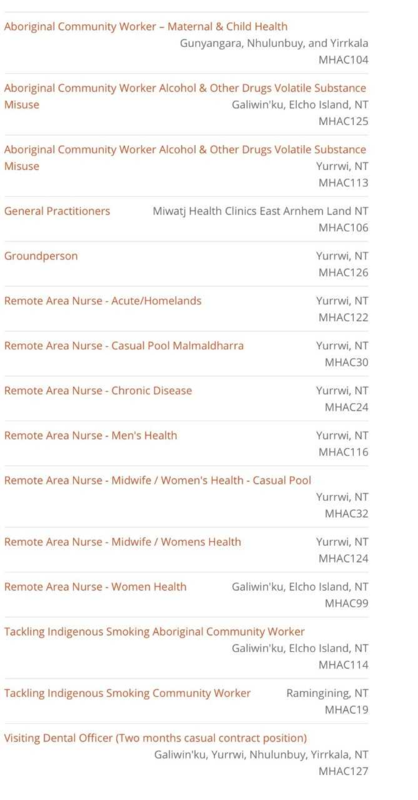 Gidgee Healing is currently seeking a General Practitioner to deliver integrated, comprehensive primary health care services at their Burke St Clinic in Mount Isa. You will be supported by a team of dedicated clinic staff including Registered Nurses, Aboriginal Health Workers, Medical Receptionists, Practice Managers and visiting Specialists and Allied Health providers; in addition to community and secondary service providers. Knowledge, understanding and sensitivity towards the social, economic and cultural factors affecting Aboriginal and Torres Strait Islander peoples health. 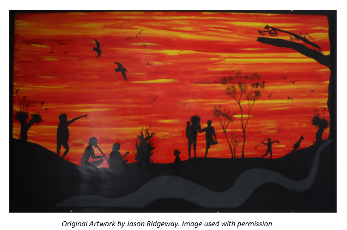 Gidgee Healing is a dynamic Aboriginal Community Controlled Health Service that provides a comprehensive and growing range of primary health care services to Aboriginal and Torres Strait Islander people residing in the Mount Isa, North West and Lower Gulf of Carpentaria regions. Our services include General Practice, maternal and child health, social and preventative health, health promotion and education, allied health and specialist services. Gidgee Healing is also the lead agency for headspace Mount Isa and the Normanton Recovery and Community Wellbeing Service. The organisation strives to provide high quality health and wellbeing services in a culturally welcoming environment, to enhance the accessibility and uptake of health services by our clients and support the early identification and management of illness and chronic diseases. The North West offers a relaxed and casual lifestyle, with a wealth of camping and exploring, scenic national parks, gorges, as well as pristine river, lake and open water fishing and recreation. 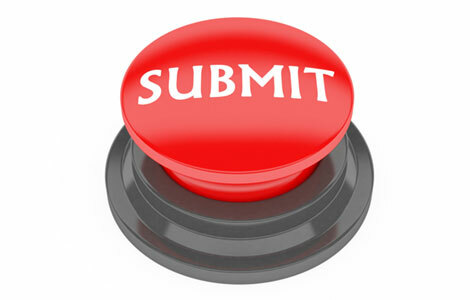 To apply online, please click on the appropriate link below. Alternatively, for a confidential discussion, please contact Lauren Taylor on (07) 4743 6681, quoting Ref No. 798746. We are currently seeking two dedicated and talented General Practitioners to join our growing team. A strong interest in, and commitment to Aboriginal Health is a must. You will form an essential part of our multidisciplinary team, serving the local community in strong consultation with a network of excellent nursing, allied health and administration specialists. Our GP’s will rotate across our Medical Facilitates based at Hamilton, Raymond Terrace and Cardiff, and through Outreach programs. Awabakal is a dynamic and innovative community organisation with the support and wellbeing of the Aboriginal community in Newcastle, Hunter Valley, Lake Macquarie and Port Stephens at the heart of everything we do. Our highly skilled teams across medical, aged care, housing and preschool services are passionate and driven to provide the most progressive and flexible services to our local Aboriginal communities and we actively empower our staff to be creative and forward thinking. You will work as an integral part of Awabakal’s Medical team, and report to the Senior Medical Officer. 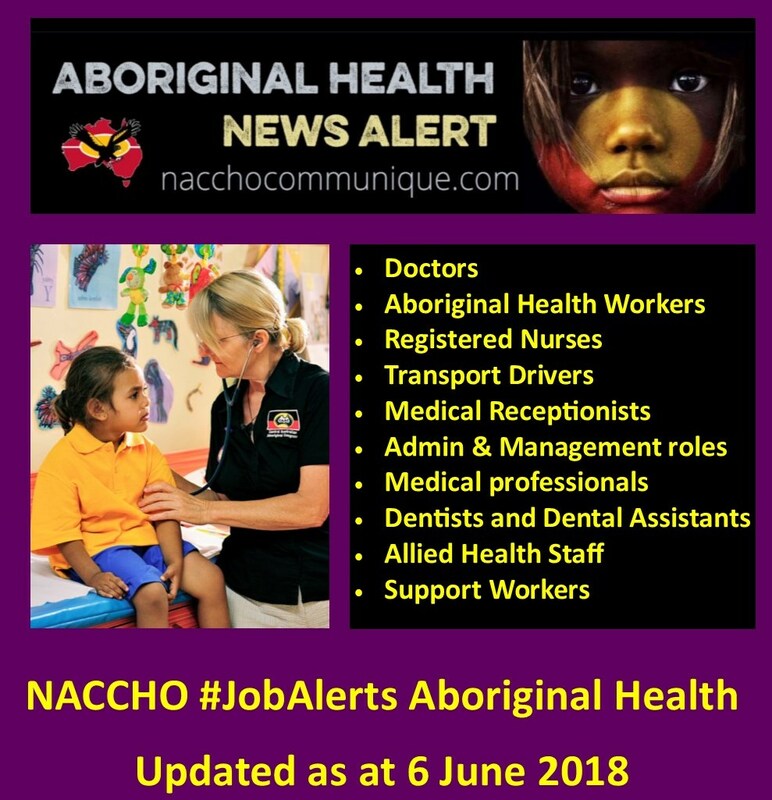 The role will require you to provide quality, integrated, best practice primary health care to the patients of the Aboriginal Medical Service, both within the confines of the medical practice and through Outreach programs. You will improve the health of the Awabakal community by improving patient access to appropriate treatment and health care plans. Our teams are professional, hardworking and passionate, best describing our culture as innovative, flexible and supportive and we are committed to ensuring our leadership team members reflect our important organisational values. A competitive salary will be negotiated with the right candidate, to match skills, experience and qualifications. Please note as part of Awabakal’s recruitment process, prior to an offer of employment being made, recommended candidates will be required to undertake and provide a current Working with Children and National Police Check, and demonstrate evidence of current registration, and original qualifications. All General Practitioners employed by Awabakal are required to maintain individual medical indemnity insurance, always, and as appropriate to their position at Awabakal. Medical indemnity insurance is an essential requirement of registration with the Medical Board of Australia. To apply please forward your resume and supporting covering letter, or alternatively contact Dr Dean Wright on 0419 638 796 or Jessica Gossage, Human Resource Consultant on (02) 4940 8743 for a confidential discussion. We seek a high calibre professional, to undertake a range of research projects in the Aboriginal and Islander Community Controlled Health Sector. * This is an Indigenous – identified position. Applicants must be an Aboriginal or Torres Strait Islander person (pursuant to Section 25 of the Queensland Anti-discrimination act 1991). 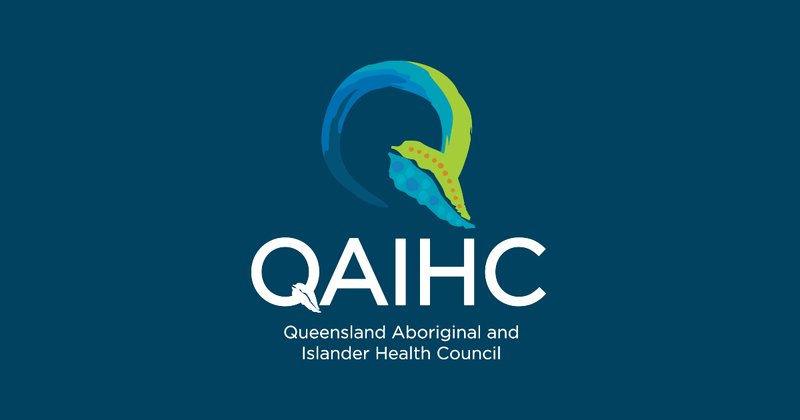 QAIHC is a non-partisan peak organisation representing 28 Aboriginal and Islander Community Controlled Health Organisations (AICCHOs) across Queensland at both state and national level. Our members deliver comprehensive and culturally appropriate, world class primary health care services to their communities. We are seeking a high calibre professional for the newly created position of Research and Evidence Manager. The Research and Evidence Manager will be responsible for managing the Research Division, consisting of the Health Information Team and Research Team (including funded programmes). This includes undertaking a diverse range of research projects including the development of a research plan that will strengthen the capacity of QAIHC to develop innovative, culturally responsive and evidence informed programs and policy responses in high profile policy areas in the Aboriginal and Islander Community Controlled Health Sector in Queensland. * Understanding of Indigenous Health. * Demonstrated capability in conducting evaluation projects, including design, analysis and interpretation of data. * Knowledge of ethics committees. * High level quantitative and qualitative data analysis skills. * Ability to conduct literature reviews to a high standard including search, collation and summarising skills. 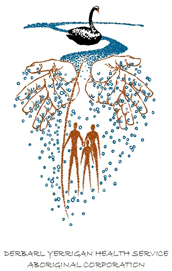 * Understanding of the Aboriginal and Islander Community Controlled health organisations and the issues facing them. * Ability to work with Aboriginal and Torres Strait Islander communities and their leaders, respecting traditional culture, values and ways of doing business. * Relevant tertiary qualifications and demonstrated experience in a similar role. To apply, obtain an application pack or any query, please email – applications@qaihc.com.au. 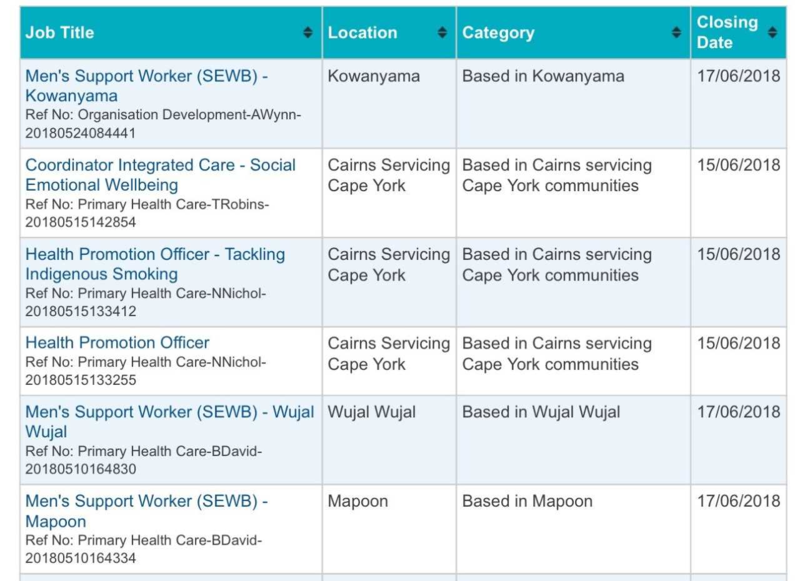 An exciting opportunity for a high calibre professional, to provide high quality policy advice in the Aboriginal and Islander Community Controlled Health Sector. This is an Indigenous – identified position. 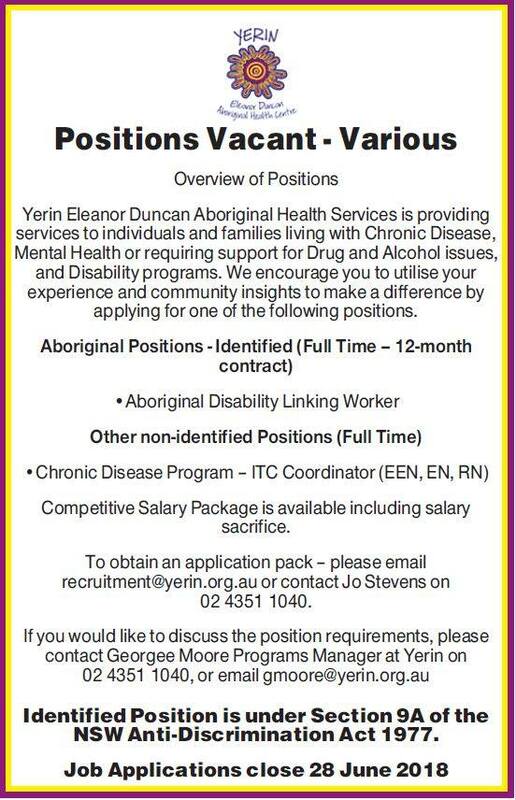 Applicants must be an Aboriginal or Torres Strait Islander person (pursuant to Section 25 of the Queensland Anti-discrimination act 1991). We are seeking a high calibre professional for the newly created position of Health Policy Manager. The Health Policy Manager, will provide leadership to a small team responsible for providing high quality policy advice on complex and high-profile policy areas in the Aboriginal and Islander Community Controlled Health Sector in Queensland. Experience in developing state or national health policy. Understanding of relevant state and federal government decision making process. Understanding of the AICCHOs and the issues facing them. 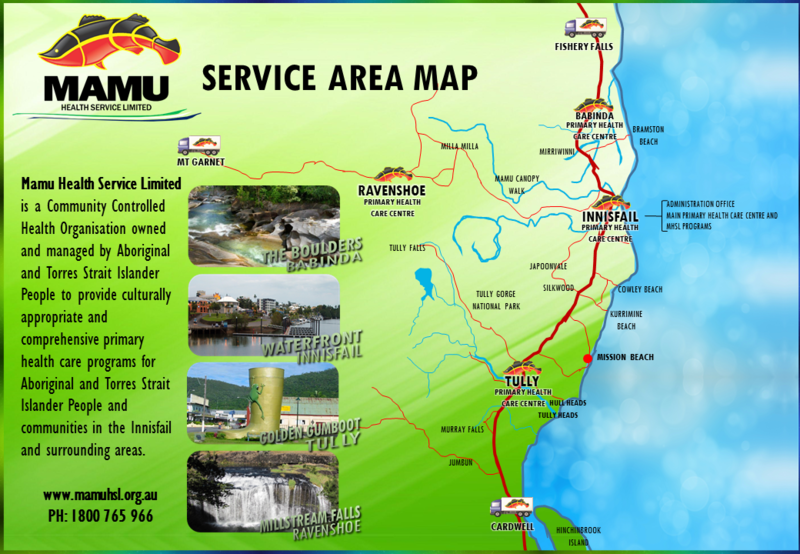 Demonstrated experience of working with Aboriginal and Torres Strait Islander communities and their leaders, respecting traditional culture, values and ways of doing business. Relevant tertiary qualifications and demonstrated experience in a similar role. We are seeking a Medicare Specialist to support and train clinics in the Aboriginal and Islander Community Controlled Health Sector. The Medicare Specialist will be responsible for supporting QAIHCs Member Services across Queensland in the management and use of electronic patient information and recall systems and in maximising access to health incentives, Pharmaceutical Benefits Scheme and Medicare Benefits Schedule opportunities. Please apply only via this method. Aboriginal & or Torres Strait Islander Health Worker Practice Certificate III/IV Fixed Term. Applicant must have previous experience in similar role. Registered Nurse – A Full time position is available. 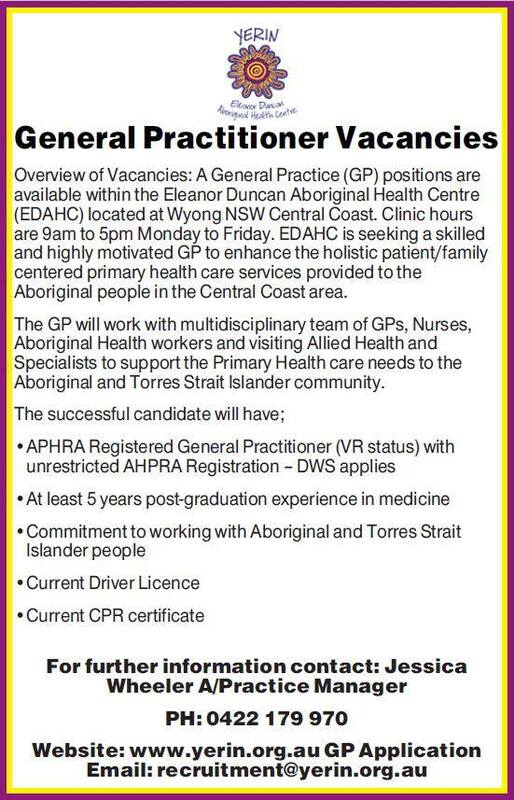 Applicants must have previous experience in working with the Aboriginal & Torres Strait Islander people. This is a Rural & Remote position which offers an attractive employment package including accommodation & fuel allowance. All applicants must be willing to undertake an AFP Criminal History Check, and a Blue Card with Commission for Children and Young People and Child Guardian. To apply for this vacancy, a full application package can be obtained from our website on http://www.mamuhsl.org.au, or please don’t hesitate to contact Julie Browne on 07 4061 9988 or jbrowne@mamuhsl.org.au to register your interest. Sunrise Health Service Aboriginal Corporation (SHSAC) is an independent, community controlled health service, directed by a Board of representatives from the remote Aboriginal communities. SHSAC has a philosophy of community participation and a strong focus on Care Coordination and Chronic Disease prevention and management including population health, health promotion and awareness. The Director, Primary Health Care (DPHC) plays an Executive leadership role ensuring the organisation is operationally sustainable and responsive to the needs of people within the remote areas. This includes effective planning and management of human, financial and physical resources and the evaluation of services, ensuring effective systems are in place to support daily practice and the maintenance of all health related accreditation and standards underpinned by high quality service delivery. As the DPHC, you’ll provide professional direction to staff, influence the achievement of the strategic and operational goals, and provide progressive planning and operational service delivery advice to the Executive Management Team. As an advocate for change, you’ll shape an environment of strategic thinking, develop policies and cost savings measures, MOU’s and provide regular analysis of community health data. Taking the lead in the review of activities and operations Clinic by Clinic including staffing levels, resource and accommodation requirements, you’ll collaborate with other managers and health service providers to ensure their participation in the activity and service delivery planning processes. You’ll manage and regularly review structures, budgets and operational costs across 9 Clinics in excess of $9m; audit all fiscal expenditure under your control and ensure full compliance and oversight of all clinical governance matters. Via sound forward planning, you’ll support the Health Centre Managers with innovative and effective plans and solutions to workforce, recruitment and retention issues arising from working in rural and remote areas, to ensure an improved, merit based qualified and adequate remote health workforce across all of the Health Centres. With the ability to inspire confidence and trust, and resolve workplace conflict, you’ll drive an effective, positive and united culture; fostering cohesive, respectful communication and a ‘one team’ outlook throughout remote clinics and head office. Continuously working to maximise access to accredited health services by community members, you’ll forge strong relationships at both community and professional level, working proactively to strengthen regional consensus and solidarity on health service delivery policy. You’ll have proven Executive / Senior level expertise in the management of complex operational and contentious issues in a health context, providing strategic leadership and advice with the management of clinical operations and strict budgets, complex projects, policy development, and improved resource mobilisation and efficiency. With contemporary problem solving, people and risk management skills, you’ll have the capability to lead significant change and negotiate through differences to achieve positive outcomes. With a relevant tertiary qualification (i.e. Masters, MBA or PhD) and current health practitioner registration or eligibility, you’ll have a thorough understanding of the provision of advanced clinical care and health programs, and clinical leadership. On offer is an attractive package for a 1 year maternity cover contract. Benefits include salary packaging, 6 weeks Leave, 10 days study leave and relocation. Durri’s vision is to achieve and maintain better health and wellbeing outcomes for our Aboriginal people and communities. Durri aims to be an employer of choice in Aboriginal health, supporting a skilled and flexible workforce. Durri is a great place to work – a family friendly and culturally sensitive work environment that values people. If you have a passion for indigenous health and are committed to closing the gap, then why not join us? Please view our current vacancies .